ALL IN is about reaching people. 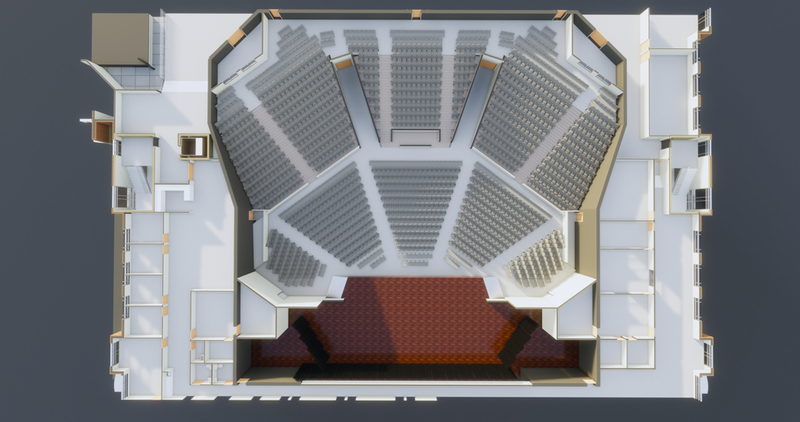 Our new 1,250+ seat Worship Center will provide a meaningful environment for worship and outreach, with state of the art technology and room to grow. As we invite more of our neighbors, friends and family to encounter the gospel, we’re praying that God opens doors to allow us to serve thousands of families across the Tidewater area in years to come. Once the new 50,000 sq. ft. expansion is complete we will have the opportunity to utilize the existing facility for our growing children and student ministries. Our vision is to look past the here and now by investing in the future. We will provide inviting spaces for small groups and relational ministry that engages generations to come with the hope and truth found in God’s Word. 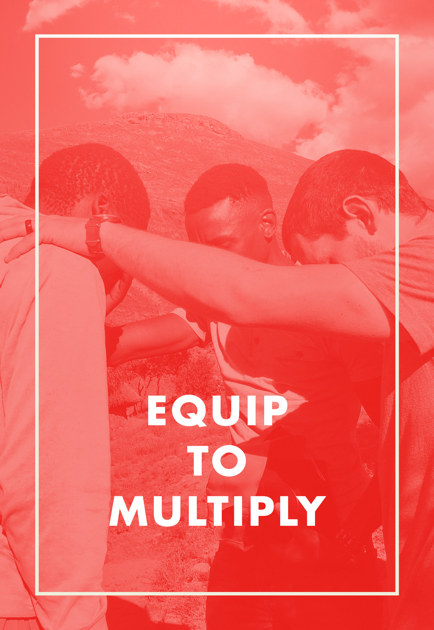 ALL IN will be the catalyst for us to strengthen and broaden our outreach, so that Jesus can transform lives. Our community is where we step out into a broken world that may not know us, but needs the Jesus who lives within us. We will have increased opportunities for ministry through outreach programs such as Oscar Smith High School, Portlock Primary, and other schools and community programs when we have daily access to our gymnasium and commercial kitchen. As we read Jesus’ parting words to His followers here on earth in Acts 1:8, we cannot overlook that He points us beyond the areas where we live and work. He takes us from our neighborhood to our nation and “to the ends of the earth”. We envision our expanded campus as a hub for equipping and developing leaders to make disciples both in the Tidewater area and in new church plants across our country and the world. God made it clear a permanent worship center is to be put on hold until a space is built for our growing Children’s ministry. River Oak prepares to go All IN to expand our campus! Through a new worship center, we will be able to create an inviting environment for gospel-centered worship and Biblical teaching. Intentionally designed for welcoming guests and meeting with friends, our lobby will be a great place to share a cup of coffee, build relationships and find out more about River Oak ministries. that you and your family will grow in faith, as we trust God to work through us. and that River Oak would be a church committed to seeking and following God’s will. even sacrificially to ALL IN, taking the next step in your giving for the next 36 months. and remember that God can do the impossible. Ask God to work through your generosity to make an eternal impact. How can I give to ALL IN? ALL IN is a 3-year generosity initiative that will help us accomplish the ministry and vision that God has given us. 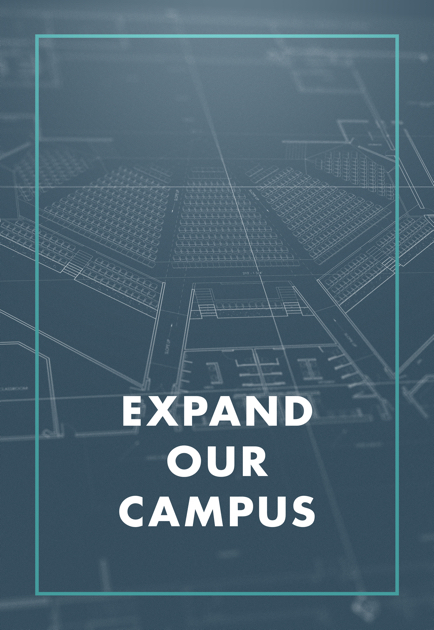 A big part of our 3- year vision is the building of a new worship center that will allow us to expand our campus, engage the next generation, embrace our community, and equip to multiply. But ALL IN is so much more than a building. It is about reaching the lost with the Gospel…ALL people…ALL over the world. We recognize, however, that we need a larger facility for us to effectively minister to the Tidewater community, our region, and beyond. The building is not the vision itself, but the means for accomplishing God’s vision for our church family and the Chesapeake area. We are asking everyone who attends River Oak to join us on this exciting journey over the next three years. What must we do to see this vision become a reality? 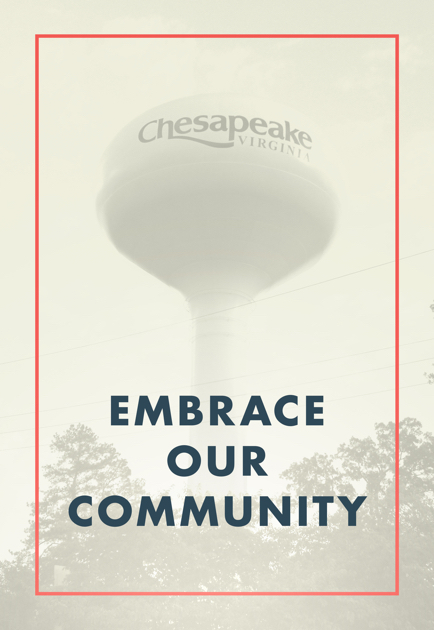 We are running out of space to effectively serve the people of Chesapeake and beyond. Our students need more room for growth and dynamic ministry. Our outreach efforts are limited by our current facility and on Sundays seating is at capacity in the worship services. To grow in ministry, we need to take the next step…and it’s a big one! The next step is to build a worship center. Adding worship space, a larger welcoming lobby, and additional room for Life Groups will provide more opportunities for relational ministry. This will engage our families and community with the hope and truth of Jesus. God is calling us to go ALL IN and do all of this together. Why should I be ALL IN? For this next visionary step, we need our entire church family to be ALL IN. It will require every one of us to step out in faith on our individual journeys of generosity. In unison our individual steps in will be a giant leap into the exciting future that God has for igniting change in our church, city, and world. We want everyone to experience blessing in their spiritual journey with Jesus when living ALL IN. There is nothing greater than walking hand in hand with our Father in absolute faith and trust. Stepping forward in your faith-walk cannot happen unless you are ALL IN. God will supply sufficient resources to accomplish the vision. We want you to pray, listen, be obedient, and willingly act. The approximate project cost is $9.8 million. As a church we hold to solid biblical principles and strong financial responsibility – both in the past and for the future. Through thee previous building programs, we saw our faith stretch and commitments exceed financial goals. I can’t give much, will it really make a difference for me to give? running. The truth is, the church can only fulfill God’s vision most effectively when everyone is ALL IN with their time, talents, and treasure. Check out the ALL IN brochure to see just how much your giving makes a difference. This is a great opportunity for your children to experience what it means to give generously. 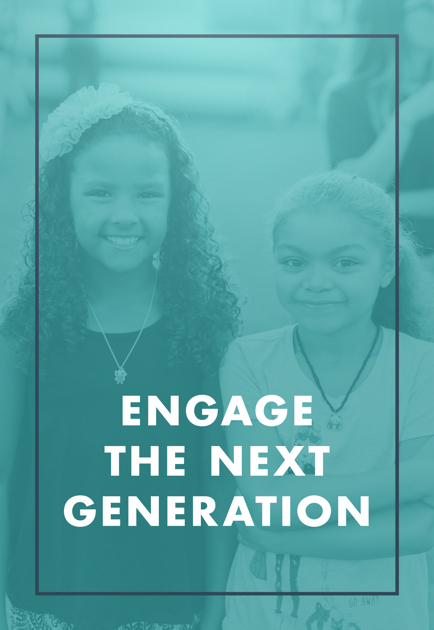 We invite you to include your children as you model being ALL IN. They will have opportunities to participate in their own ways through our Children’s and Student ministries. You also have the option to include your children’s gifts on your response card or you may guide them to prayerfully complete their own response card. Now that I have decided to give, how do I do it? On Sunday, March 25th, we will turn in our ALL IN commitments cards during the Worship services. The commitment cards ask you to identify the specific monetary amount that you will commit to giving over the next 3 years. If you are unable to be here on March 25th, you may submit your commitment card at any time now in the church office, or by mailing it to River Oak Church, 255 Great Bridge Blvd., Chesapeake, VA 23320, or placing it in the offering basket during any service leading up to March 25th. (If you need a commitment cards are available at the ALL IN Center in Lobby A or the church office. new worship center, a larger welcoming lobby, a prayer room, more office space, and much more additional room for Life Groups, fellowships, and Bible Studies, and ministry. Additionally, the new facility will free up space and the gym for our children, youth, and outreach programs. What will the new worship center look like? meaningful environment for worship and outreach, with stadium seating and state of the art technology and room to grow. We will have modern décor and a relevant environment provides inviting spaces and lobbies for small groups and relational ministry that engages generations to come with the hope and truth found in God’s Word. Can I donate real estate, stocks/bonds & other stored assets? Yes, you can include stored assets in your ALL IN giving plan. Most of the wealth owned by Christians is in the form of assets not cash, yet most giving to churches is in the form of cash, not assets. For some, there can be great advantages to giving from assets instead of cash. We suggest that before donating any personal property that you seek professional guidance from your personal tax advisor. If you would like to speak with someone about this option, please contact the church office and we will have someone talk to you. Will we lose / gain parking? (less than 10) of our current permanent parking spaces. We will be able to replace the loss of the grass area using the nearly 200 parking spaces available across the street and next door. Additionally, the City of Chesapeake is currently planning to expand the parking lot across the street by approximately 140 spaces increasing our overflow parking to well over 300. When will we start the building and when will we move in/ how long will it take? The building project is expected to take about 18 months and we anticipate to start as early as this summer. We do not anticipate any reduction in current ministries and missions, and plan to continue to grow our programs. The scope of how quickly we will be able to expand ministries and missions will be based on our generosity and ALL IN response. As a church, we hold to solid biblical principles and strong financial responsibility. As God has blessed so faithfully in the past, we look forward to seeing what He will do as we go ALL IN! When will I start contributing to ALL IN? We will take a special “First Offering” as part of Commitment Sunday on 25 March. We invite everyone to begin their 3-year commitment on that Sunday. However, if sometime in April or a later date is a better start time for you, please note when you will start on your commitment card. How will this help us better serve our community and have kingdom impact? ALL IN will be the catalyst for us to strengthen and broaden our outreach, so that Jesus can transform lives. Our community is where we step out into a broken world that may not know us, but needs the Jesus who lives within us. We will have increased opportunities for ministry through outreach programs such as Oscar Smith High School, Portlock Primary, and other schools and community programs when we have daily access to our gymnasium, commercial kitchen, and expanded space and facilities.